Last week saw the first cargo ship take the fabled Northwest Passage through Canada’s Arctic, on the way from Vancouver to Pori, Finland. This was big news in Canada and in the shipping world but no one mentioned that passenger ships have been transiting the Northwest Opassage since 1984. Nor that next year six different expedition cruise operators will be offering such voyages. Elsewhere, as Carnival Sunshine’s show lounge loses one of its three decks we ask whether the day of the great show lounge is over. 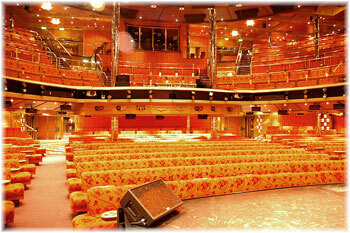 And finally, we have received news that Germany’s Ambiente will re-enter the cruise business in 2014. Last week came news that the 75,000-ton Ice Class 1A Danish bulk carrier Nordic Orion had become the first commercial cargo ship to traverse Canada’s famed Northwest Passage, with a cargo of coal loaded at Vancouver and bound for Pori, Finland. The route saved her 1,000 miles and allowed her to load 25% more cargo than she can normally carry through the Panama Canal. What most people don’t realize, however, is that commercial ships have been traversing the Northwest Passage since 1984, when the Lindblad Explorer made the passage for the first time by passenger ship. Until very recently it had been the preserve of Hapag-Lloyd Cruises, but with five other operators having decided to offer the route over the past couple of years, the Northwest Passage is now crossed by no fewer than six operators. Hapag-Lloyd Cruises, with its 164-berth Bremen and 184-berth Hanseatic, have been joined by Compagnie du Ponant with the 224-berth Le Soléal, which earlier this month completed its own first Northwest Passage transit. Other newcomers include Lindblad Expeditions with the 148-berth National Geographic Explorer; Adventure Canada with the 114-berth Sea Adventurer; One Ocean Expeditions with the 96-berth Akademik Ioffe; and Silversea Expeditions with the 132-berth Silver Explorer. Hapag-Lloyd and Silversea transit the Northwest Passage to or from Nome, Alaska, and Ponant to Anadyr, Siberia, while Adventure Canada, Lindblad and One Ocean all turn at Coppermine (now called Kugluktuk), in Canada at the western end of the Passage. 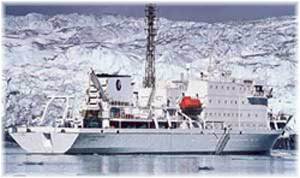 In 2014, which is the 70th Anniversary of the crossing from west to east by the RCMP patrol vessel St Roch, One Ocean will offer a shorter transit that can be done in about two weeks by sailing between Iqaluit on Baffin Island and Cambridge Bay, on Victoria Island to the west. If you’re interested in the full transit, which usually takes the best part of three weeks (or slightly more), remember to book early. 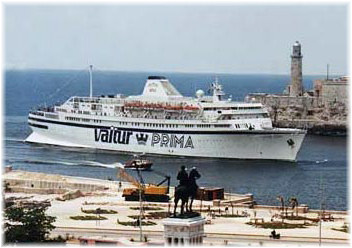 Despite new ships being added to the route the season is limited to two months in high summer, usually departing in July or August, and sailings sell out quickly. This means only one through voyage for each of the ships that do the full transit or one shorter transit in and one out for those that turn at Coppermine or Cambridge Bay. Is The Day Of The Big Show Lounge Over? 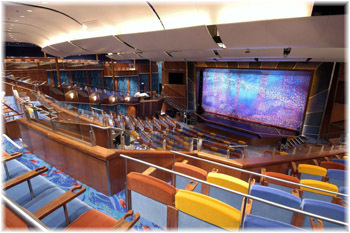 It has been said by some that the large two-and-three-deck show lounges found on most of today’s mega-ships are a waste of space as they are only used for a few hours of the day, not to mention the fact that they usually take up valuable space that could be dedicated to forward-facing observation lounges. Not everyone enjoys a show, but worse, it has been reported recently that some lines are saving money by replacing live bands with recorded music and real sets with audio-visual effects, which affects the quality of the shows as well. Those last few words, “not good enough for people who have seen shows before,” are key. Finally, it seems to be dawning on someone that those huge show lounges might have been a mistake. What’s interesting about it is that this particular comment has come from Carnival. The line has taken the former three-storey Carnival Destiny show lounge and made it into a two-level lounge on Carnival Sunshine, with a disco after the show, which at least extends the use of that space into another part of the day. The bottom tier has been converted into cabins, which of course (although we haven’t seen the drawings yet ) will presumably mean that these newly-crafted cabins will probably be directly under the disco! Comments on shows and show lounges from outside the industry are interesting. 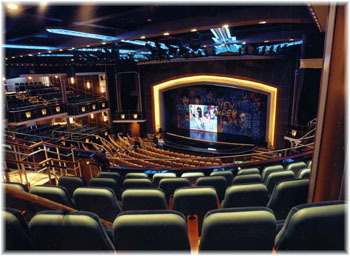 For example, Norwegian and Royal Caribbean are said to be spending lots on bringing Broadway hit productions and Broadway caliber shows on board while carnival is scrimping. Carnival on the other hand seems intent on dumbing it down to the lowest possible denominator, all to save a buck. By this, he means replacing live bands with canned music and disk jockeys and replacing theatrical sets with lighting effects. And, talking about other areas of the Carnival ships, our commentator from Miami adds: “As you enter the ship there is now a DJ spinning hip-hop. Same at the pool. Another DJ, and gone is the live band.” One suspects that this argument is not over yet. 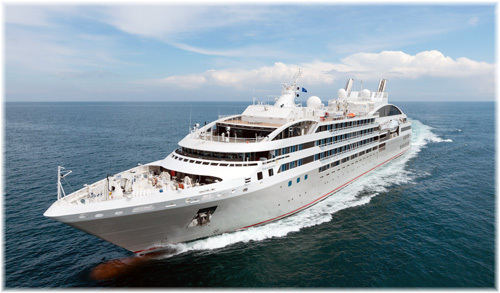 In June 2012, we reported that newcomer Ambiente Kreuzfahrten of Berlin would be chartering the 16,144-ton Athena from Classic International Cruises for five cruises in August and September this year. This was to be in addition to the 16,531-ton Princess Daphne, which Ambiente already had on charter from April 2012 under a three-year agreement. But in October 2012, six months into a successful first season, Ambiente had to withdraw from cruising after the Princess Daphne was arrested for non-payment of bills and Classic International, with its whole fleet arrested in various ports around the Mediterranean, folded. Last week, Ambiente announced that it would return to cruising in 2014 with the 550-berth Azores, which it will operate from March to November under charter from new owners Portuscale Cruises of Lisbon. Azores is the new name for the Athena, which is still a well-known ship in the German market. The Azores, is now undergoing refit for Portuscale in Marseilles. Her capacity will remain at 550 and the on-board language will be German. She will join Ambiente on March 10, 2014, with a cruise from Lisbon to Bremerhaven, and this will be followed by a very early 13-night Aurora Borealis cruise leaving Bremerhaven for Norway on March 16. In the autumn she will cruise the Mediterranean and the Black Sea until November 20, when she is due to finish her 2014 season at Genoa.